What is the WineHunter Award? President and founder of Merano WineFestival, sole shareholder of Gourmet’s International and The WineHunter. Year 1959, Helmuth Koecher matures in a family whose roots are reinforced within the art of food and wine. His grandmother grew up on a winery and dedicated herself to cooking in the service of noble families. His grandfather came from nothing other but a long lineage of weavers of fine material. Both convey to Helmuth the importance of quality of basic substance. In one of his many journeys, Helmuth Koecher falls madly in love with Bordeaux, its wine and its vineyards. Back in Italy, he decides to dedicate body and soul to this soon-to-be greatest passion: the nectar of the gods. In 1992 he puts himself at stake with the idea to organize an event where excellence embraces the world of elegance and creates an event never seen before in Italy. This is how the Merano WineFestival is born. 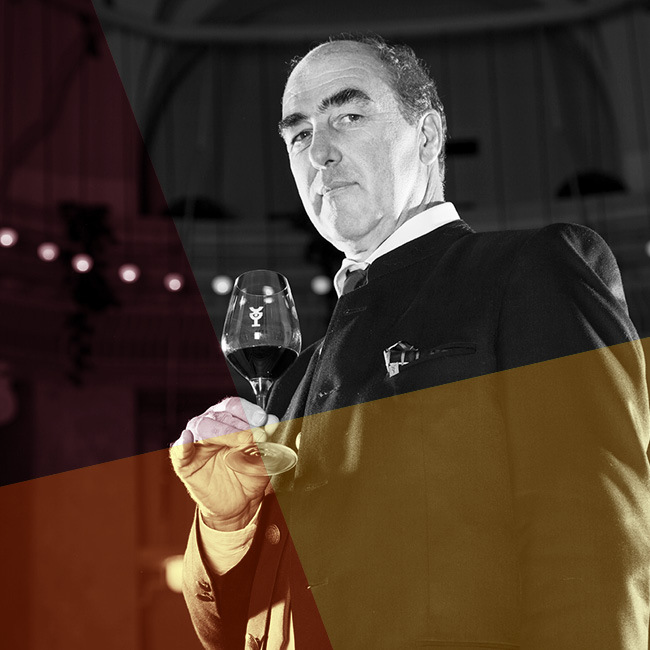 Helmuth Köcher evolved himself into the figure of The WineHunter who catches exquisite wines and culinary delicacies for passion and profession. The presentation of selected products at the events ensures that the figure of Helmuth is inextricably linked to the concept of quality. He is invited to international congresses and tastings that allow him to broaden his knowledge and taste wines from all over the world. At the end of the 90s, his unbridled passion for every aspect of culinary production, leads him to the publication of four monothematic volumes: Grappa, Aceto, Olio and Formaggio. Helmuth Köcher has always made it clear that the goal of this constant and tireless hunt is the discovery of excellence; that extra quality that distinguishes things and makes them unique over time. Over the years, he has been led to pursue and express the best in different ways, starting from the selection of products that are displayed at the events of excellence, to continue with innovation and education. All of this to promote quality in all its forms because excellence is an attitude.